The BBC has announced the first of cake doyenne Mary Berry’s post GBBO moves: a six-episode show where she wanders the great houses of Great Britain, talking about food. Yes, I will absolutely watch this on a lazy Saturday and it will inspire me to spend 45 minutes fruitlessly searching for a Victoria sponge available via Seamless. 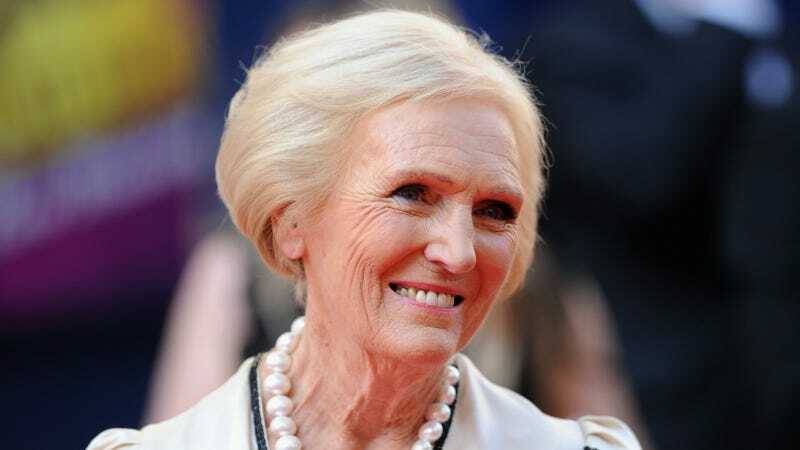 The expert baker will host a show with the working title “Mary Berry’s Secrets From Britain’s Great Houses,” in which she “explores some of the nation’s most-beloved [aristocratic] homes through the prism of what she’s best known for — food,” the BBC said in a statement. “Her exclusive invitation to these great houses will take her away from the well-trodden tourist paths. Revealing life both upstairs and downstairs, Mary will meet the present-day custodians and their knowledgeable, dedicated staff as she visits the gardens, kitchens and private rooms. “I am so excited to be doing this new series with the BBC — I have always had an enquiring mind so I know I will be inspired by the great houses we visit,” said Berry. I will be inspired by this show to want wallpaper that would overpower my distinctly non-stately living space and attempt vastly overambitious baking projects.